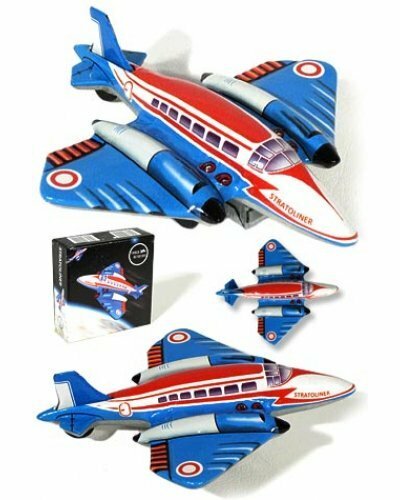 Imagine flying through the stratosphere with our beautiful Stratoliner Jet Tin Aeroplane. Rev up this classic all-tin toy space jet and she’ll roll away on real black rubber wheels! 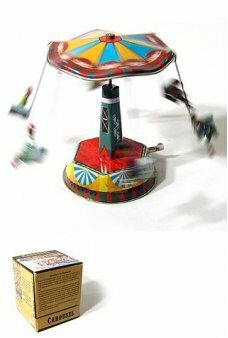 Our high-quality red, white, and blue friction wind up jet plane is a nice reproduction of the 1955 tin toy classic by Huki of Germany (Kienberger & Co - Nuremberg). 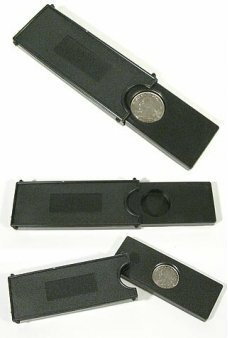 An original and rare Huki jet tin toy can sell for $100’s. A must have toy plane and gift for any tin toy collector! 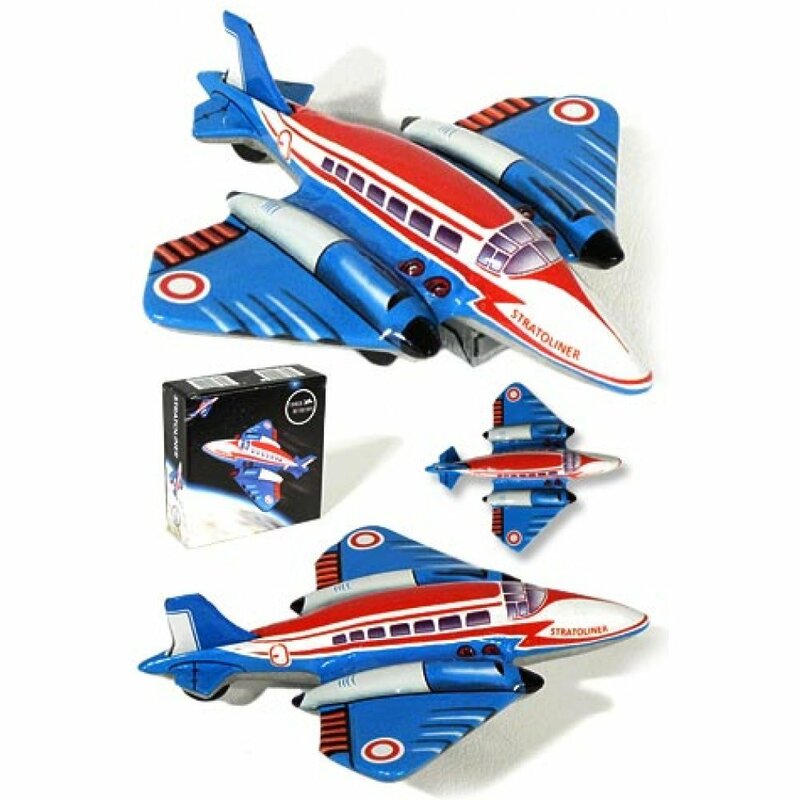 This classic Tin Toy Jet Aeroplane is a member of the Tin Toy Treasures Collection - exclusively for TinToyArcade.com. What a beautiful image of Robots at a Space Port on this high-quality greeting card. 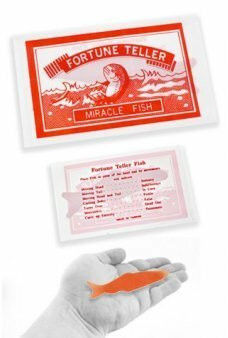 Printed on full..